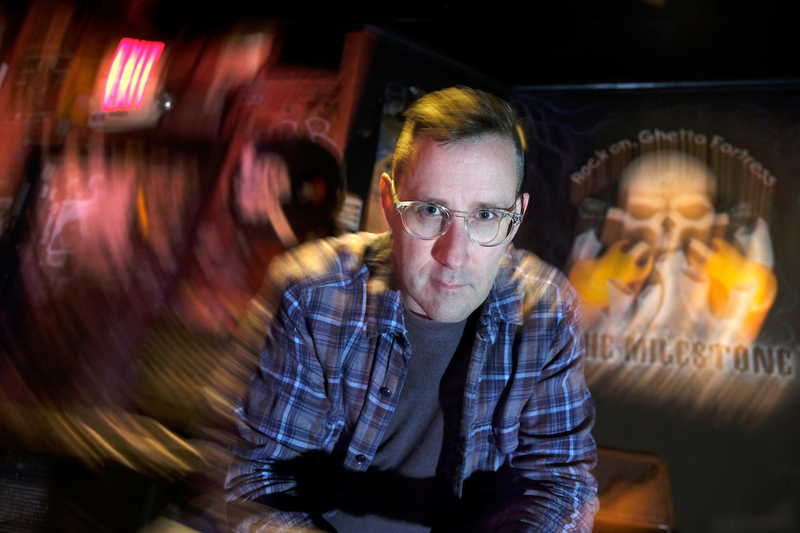 This is novelist Jeff Jackson, who draws inspiration for his novels from "grunge" music venues and gritty industrial settings. His new novel was partially inspired by Charlotte's historic Milestone Club (c 1969) on Tuckaseegee Road. These photos were taken there. Jeff Jackson – One of 2018 Creative Renewal Fellows is an author whose disturbing works penetrate and reveal layers of story.